I’m not a racing game guy, especially when it comes to ones that end up more on the simulation side of driving. I don’t get behind the wheel of these games too often because I’m awful at them (Ironically by not playing them more often, I never actually get better. It’s a dark spiral, I know). I’m the guy that spends more time trying to figure out how to make sure I don’t have a tire or two on the side of the road than I do actually on the asphalt. However, I have a great appreciation for the deep technical aspects of racing sims, and seeing Project CARS 2 at E3 2017 did not fail to make an impression. Touted as the most technically advanced racing sim out there, it earns this title through the most dynamic accuracy of any car game out there. The tracks are all real world tracks laser scanned for millimeter accuracy, but that’s been done before. For Project CARS 2 they upped their game to drone scanning the surrounding area, making sure that not only the tracks are accurate, but that the surrounding areas match exactly what drivers would expect to see if they were racing. If that’s not enough, the real life dynamic daylight cycle will actually simulate what time the lights in the city tracks turn on as it gets darker and the colors of the light bulbs used, so as to ensure that every single little detail is accurate to a fault. Not only will you get time of day simulation, but there will also be seasonal simulation that will affect the weather, and subsequently all of these other aspects such as track lighting and the look of the surrounding areas. Again, not just satisfied with the status quo, they’ve gone as far simulating things like water saturation in the grass until it gets too soaked to hold water, where it will begin to spill over and create dynamic puddles on the track. The drainage of these puddles will be impacted by whether or not there are drains on the track, and if there are, you could park your tire over the holes in one and watch the water rise due to drainage being blocked off. Once the rain stops, driving over the same portion of track will begin to create a dry line where your tires are, once again, dynamically and realistically changing the road in a way you could expect it to be affected in real life. They now have a new tire model that will simulate the loss of rubber, and tiny details in the car can be changed by the driver like the angle of the mirrors. Every one of these details impacts the physics of the cars on the road, however slightly. If all that’s not enough, there’s actually some new gameplay things as well. 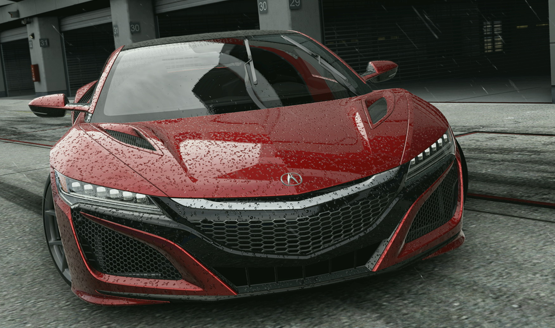 Project CARS was an incredibly advanced game but was relatively unknown in development. Due to its success, they’ve been able to secure more of the brands that people would expect to see in a driving sim like Ferrari, Porsche, and Nissan. 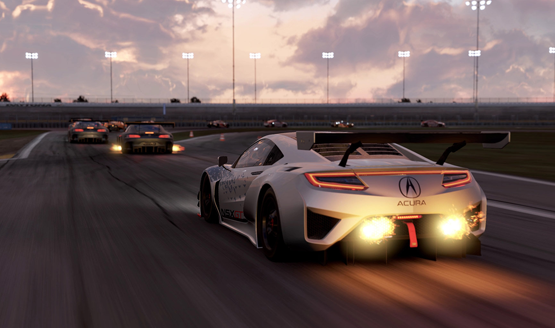 Project CARS 2 will add a deeper career mode, the ability to create your own championships, and an entire ranking system that will track your driving habits and smartly pair you with similar drivers. If you drive clean, you’ll be paired with other clean drivers. If you like to play bumper cars? Prepare to get bumped by a number of other people on the track. I have a deep appreciation for the small details and physics work that goes into making games, and driving simulators are some of the most impressive. Even though I may not able to keep my driving lines clean and precise, I welcome the innovation as these developers push the boundaries from simulation to hyper-realism, and Project CARS 2 is at the forefront of that modernization. Project CARS 2 releases September 22nd for PS4, PC, and Xbox One. Check out more of our E3 2017 coverage.